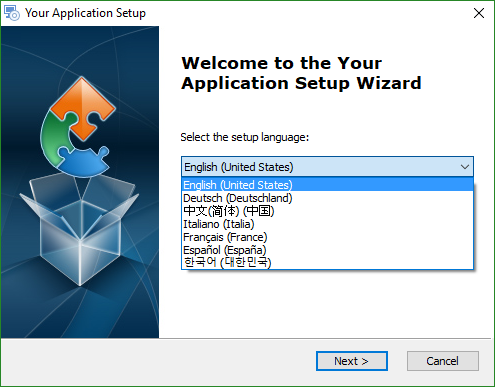 Adding the Language Selection Dialog can be done by simply going to Translations page, choosing the languages you are targeting, then select Create only a multilingual package and Display language selection dialog. Now your users will receive the best install experience, by choosing their language. To learn more about how Translations work see our documentation.